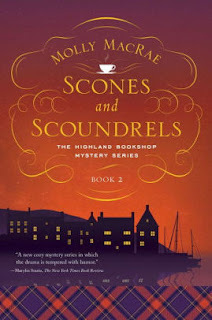 Her latest book is Scones and Scoundrels, book two in the Highland Bookshop series. 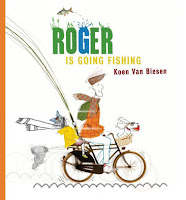 The first is a picture book - Roger is Going Fishing, written and illustrated by Koen Van Biesen. Think of it as laying the groundwork so preschool children grow up to properly crave caper novels by writers like Donald Westlake and Timothy Hallinan. This is a story of unintended consequences with a full complement of onomatopoetic sounds. It’s about Roger, his young friend Emily, and their bicycle trip to the lake for a day of fishing. What could possibly go wrong as Roger peddles along the busy city sidewalks with Emily sitting in the seat behind him holding the fishing pole? Oops. 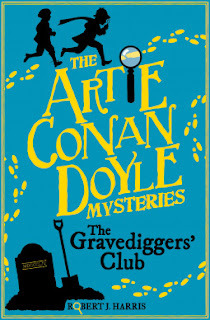 Over my lunch hours I’ve been reading Artie Conan Doyle and the Grave Diggers’ Club, by Robert J. Harris. It’s the first in a new series about a twelve-year-old Arthur Conan Doyle honing the detective skills he later gave to Sherlock Holmes. It’s a good book for the 4th, 5th, 6th grade set who have some familiarity with the Holmes stories. I’m enjoying it partly because it takes place in Edinburgh and gives me a chance to revisit the city. It turns out I lived not far from where Conan Doyle grew up. For a change of pace, I’m making my way through Everything You Need to Ace Math in One Big Fat Notebook, part of The Complete Middle School Study Guide series, billed as “notes borrowed from the smartest kid in class (double-checked by an award-winning teacher)”. 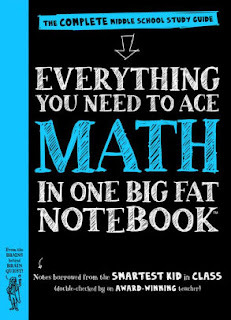 It’s an attractive book that invites you to pick it up and do equations. Because I haven’t taken a math class since 1971, I figured how could it hurt to brush up on stuff like exponents, coordinate planes, surface areas, and the distributive principle of multiplication over subtraction? Although I did find a mistake on page 110 (sorry award-winning teacher, but the answer to 10 is 8,324.64, not 8,325.64). It also made me narrow my eyes and proceed with caution right at the beginning when, in the middle of page 2, it emphatically said whole numbers “cannot be negative,” and then immediately started talking about negative whole numbers at the top of page 3. Hmm. Otherwise, the book is a pretty good review, might help middle school students, and is a good bit of fun for workbook nerds. My sons gave me the whole set of study guides for Christmas, so in several months I should be a whiz at middle school science, English, and American and world history, in addition to the math. Cool. My reading isn’t all kid stuff. 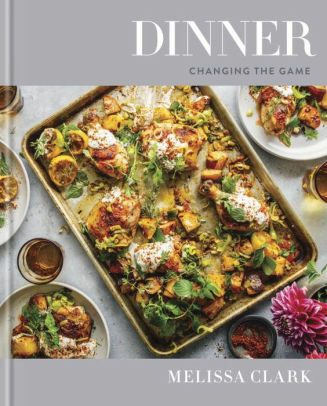 A niece and nephew gave me a copy of Dinner: Changing the Game, by Melissa Clark, and told me it’s their new favorite cookbook. Now it’s my favorite, too. The book, itself, is beautiful and well made. 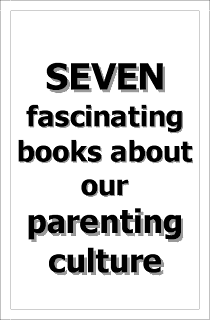 The binding is sturdy and the pages lie flat when you open it and set it down on a table. The pictures are drool-worthy. Dinner, according to the inside front cover, “showcases the inventive yet unfussy approach to cooking that will make anyone a better and more confident cook.” So far I’ve made the Olive Oil-braised Chickpeas with Swiss Chard and Cumin and the Roasted Carrots with Walnuts, Feta, and Dill. Both are a total wow. I’m looking forward to the Scalloped Potato Skillet Gratin with Gruyere, Leeks, and Black Pepper, and the Butternut Squash Polenta with Ricotta and Fried Sage. Ooh. 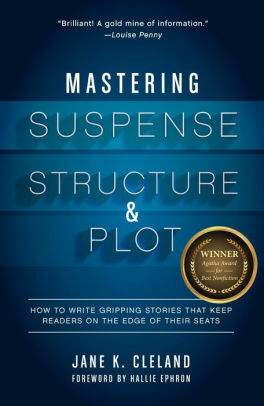 My bedtime reading is a re-reading of Mastering Suspense, Strutcture, & Plot, by Jane K. Cleland. In my own writing, I tend to set a leisurely pace. That’s okay in cozy mysteries—up to a point. 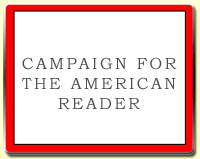 But I’m looking for help to avoid slowing things down so much that my stories end up a deadly slog. Cleland writes an award-winning cozy series, herself. Even better, she knows how to analyze her books and other bestsellers, figure out what makes them work, and then give a clear explanation. 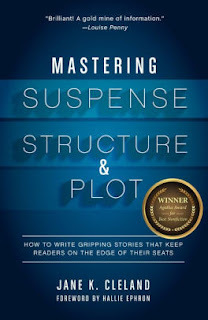 Help is out there, and Mastering Suspense is a good book to keep on hand.